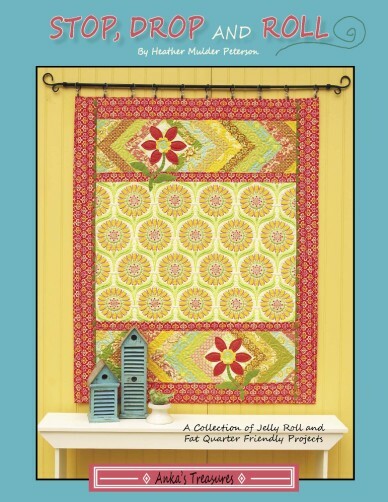 If you are using fat quarters, instead of Jelly Rolls, you will need more of the brown print fabric. You will need 1 7/8 yards ( 2 5/8 yards ) (3 5/8 yards) instead. Cut into 25 (35) (49) 2 1/2" x 44" strips. On Step 2, please omit the middle line of text - "Finish by adding the small colored triangles".